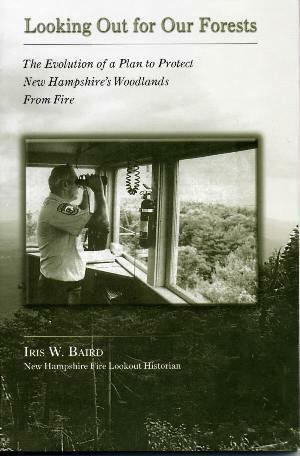 Looking Out for Our Forests, by Iris W. Baird, NH Fire Lookout Historian. Subtitled, "The Evolution of a Plan to Protect New Hampshire's Woodlands from Fire," this is a fascinating history of fire detection efforts in New Hampshire, with an emphasis on the development of a fire tower netork. Includes fine old photos of firetowers. 128 pp, 5 1/2" x 8 1/4."